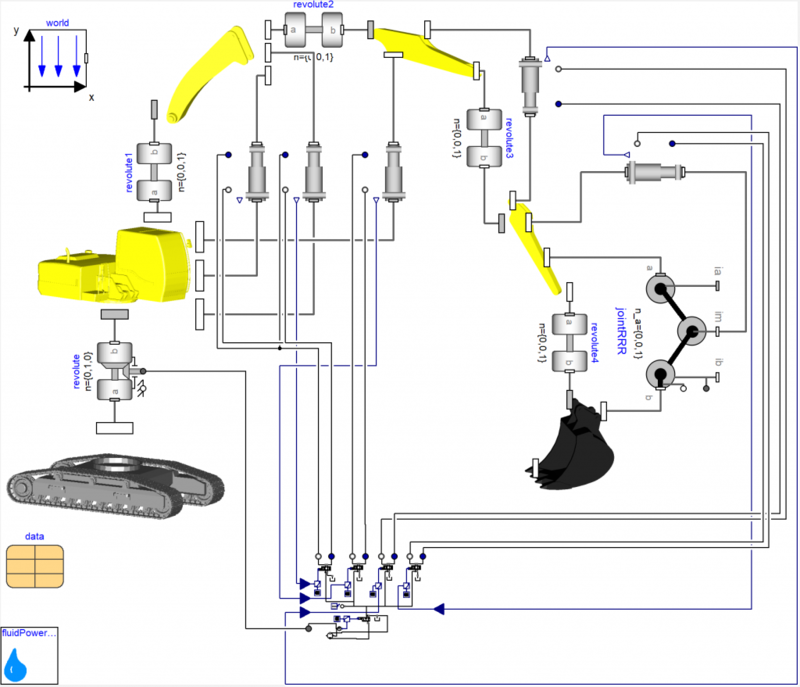 The Fluid Power Library is a library for the modelling hydraulic systems such as those found in aircraft, cars, excavators and many other types of machine. 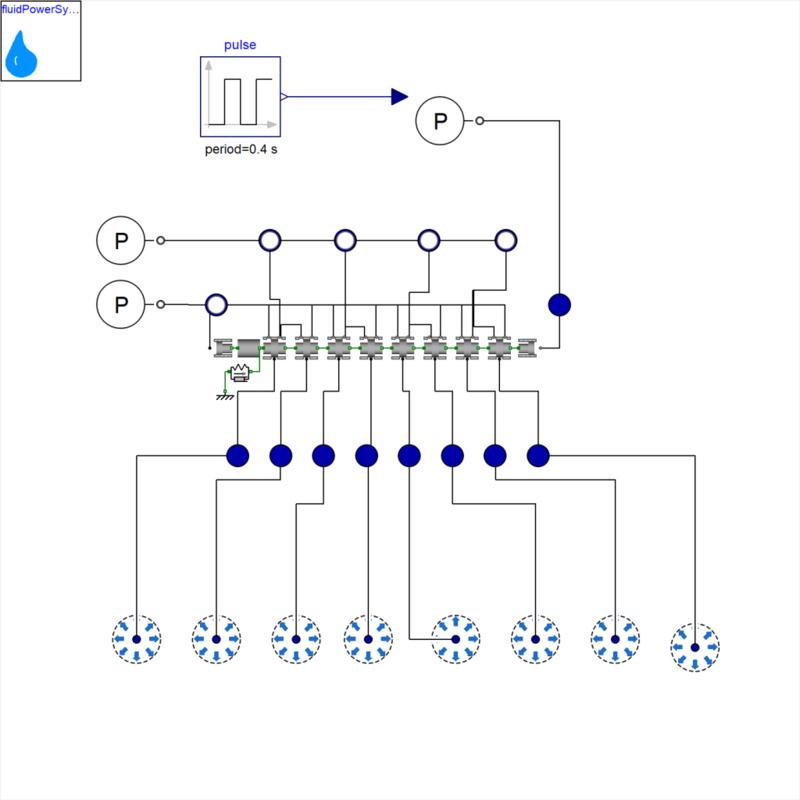 The library uses a novel Modelica connector that simplifies the model development task and the component models use ISO1219 compliant icons to make the circuit diagrams instantly recognisable to hydraulic design engineers. The goal is to allow you to arbitrarily connect components to build up the hydraulic circuit you want to simulate without having to be concerned with the underlying equations and model structure. The FluidPower library is designed to support development of hydraulic systems in any engineering domain. 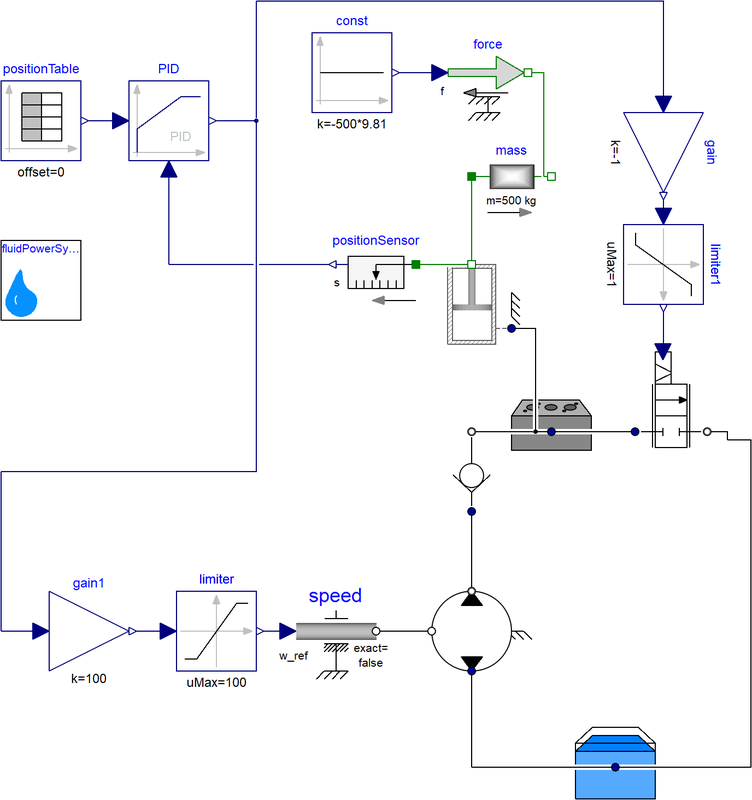 Connectivity to other Modelica libraries, for example VeSyMA or FlexBody, enables the modelling of complex multi-domain systems.